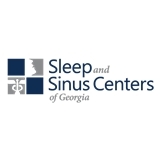 Sleep & Sinus Centers of Georgia (Braselton) - Book Appointment Online! Dr. Dillard made me feel there is hope to resolving my health issue as soon as he talked to me. It was like he knew me for a long time. He was very accommodating, down-to-earth and conducted the consultation with such regard for my health problems. It is very rare to meet a doctor who resonates such warmth and genuine concern and care to his patient. He was recommended by my rheumatologist, who is not just a doctor to me but a good friend. Today I understood why my rheumatologist sent me to Dr. Dillard. Quite unbelievable that we still have doctors with a heart like Dr. Dillard.